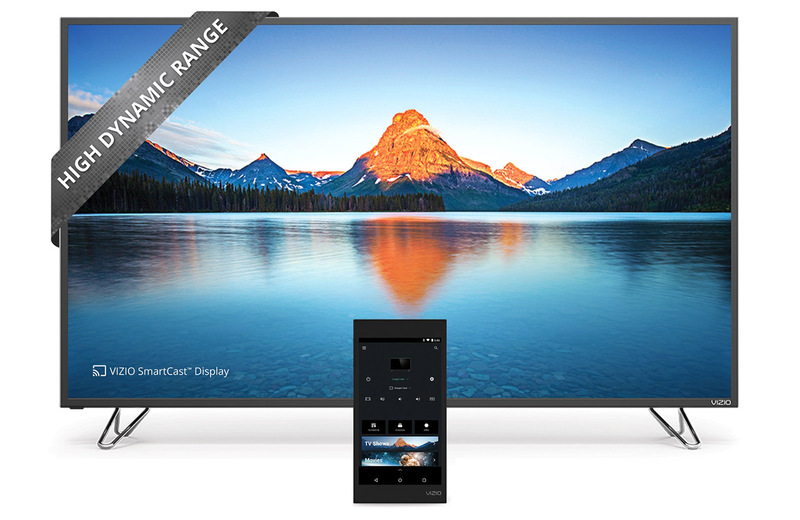 Vizio’s newest lineup of 4k Ultra HD TVs starts at $849.99 and features support for HDR with Dolby Vision, along with integration of the Google Cast protocol for casting from mobile devices to SmartCast-enabled Vizio TVs. Dolby Vision was already available in Vizio’s P-Series and Reference-Series 4k TVs, but the M-Series adds more choices for customers looking to purchase an Ultra HD TV that will support emerging content with HDR through Dolby Vision. Screen sizes include 50″ ($849), 55″ ($999), 60″ ($1,249), 65″ ($1,499), 70″ ($1,999) and 80″ ($3,999), The M-Series TVs also include a 6″ Android Tablet Remote with the VIZIO SmartCast app preinstalled. Vizio didn’t give an exact date for availability of the new M-Series TVs, only that the sets will roll out soon to retailers in the US. 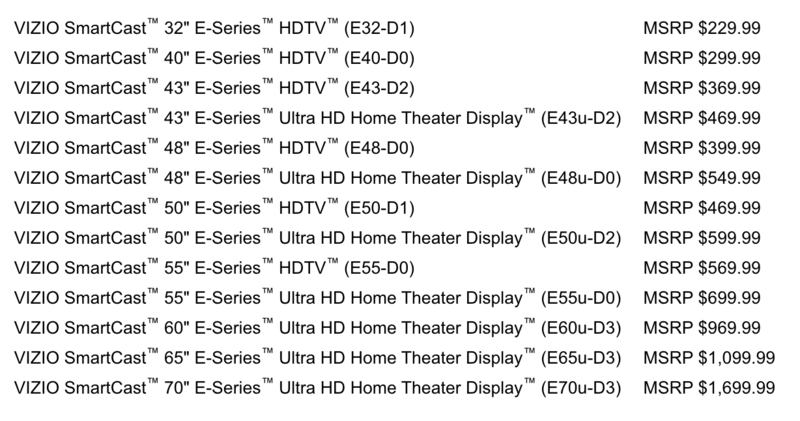 With the announcement of the M-Series, Vizio also introduced their E-Series lineup of 4k Ultra HD TVs. The series (which includes smaller 1080p TVs), starts at $469.99 for a 43″ set with 4k resolution. The E-Series includes 4k TVs with screen sizes ranging from 43″ to 70″ that support Google Cast but not HDR or Dolby Vision.